The card I'm sharing with you today uses the "MERRY" image from the Seasonally Scattered stamp set. I did a ombre effect on the Merry with Pool Party and Lost Lagoon, sponging it directly on to the stamp. 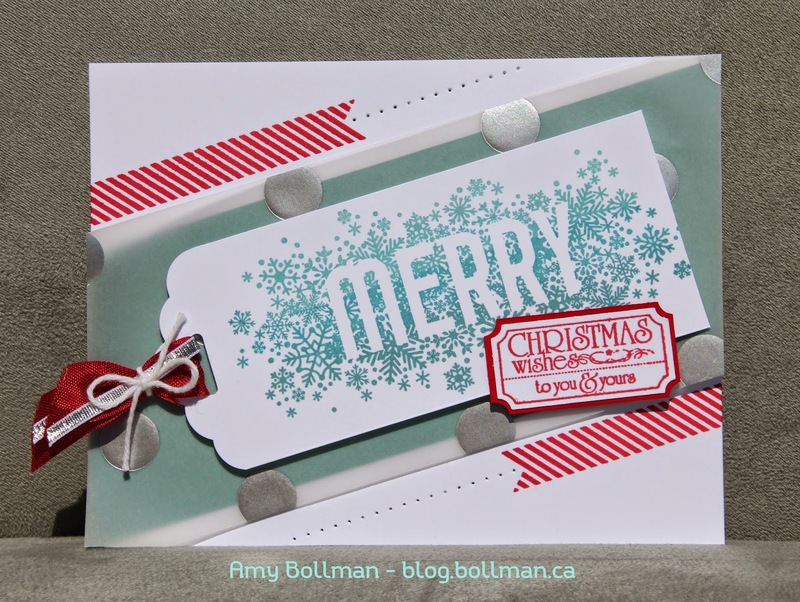 The other colors on this card are Cherry Cobbler, Whisper White and Silver.